With an increasing number of law schools accepting the GRE, you’re naturally wondering: LSAT v. GRE? To help you answer that question, we’ve put together an overview of which law schools are accepting the GRE and the differences between the GRE and the LSAT. *Note: Penn Law will also accept the GMAT as part of a pilot program. Now that you have an idea of which law schools accept the GRE, let’s take a look at the differences between the two exams to help you decide whether you should take one over the other or maybe both. The LSAT tests your ability to read and think critically. The exam is made up of five sections which are each 35 minutes long. Each section tests a different skill that is essential to the practice of law. One section tests your analytical reasoning skills, one tests your writing skills, one tests your critical reading skills, and two test your logical reasoning skills. While you will also be tested on your logical reasoning and critical reading skills on the GRE, the LSAT analytical reasoning section is unlike any part of the GRE. Learn more about the analytical reasoning section so you can determine if you would like to conquer it, or avoid it entirely. In addition to differences in the materials tested, let’s look at a few of the major differences between the LSAT and GRE. The LSAT is currently a paper based exam while the GRE is computer based. 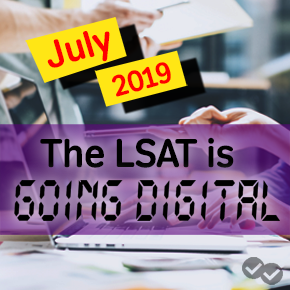 However, the LSAT is moving to a digital format with the September 2019 exam, so this difference won’t be for much longer.The GRE is also adaptive, adjusting the difficulty of questions based on your performance. The other big difference between the exams when they are offered. 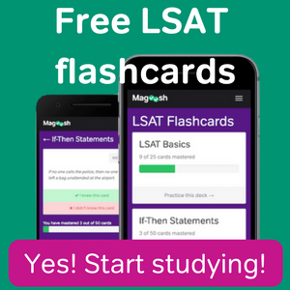 The LSAT is only offered at set times during the year, while the GRE can be taken at any time. Depending on when you’re planning to apply to law school, this difference could make your decision for you. Let’s look at the GRE to see if the structure would work for you and your strengths. The biggest difference between the LSAT and the GRE is math. If you haven’t done a math problem since high school and you’d like to keep it that way, you can stop reading and register for the LSAT. Half of your GRE score is based on your math abilities. For those of who you don’t mind math (or maybe even love it! ), the GRE may be the right choice for you. Like the LSAT, the GRE tests your critical reading and reasoning skills, so you’ll need to brush up on those skills no matter which test you choose. And one final difference, the GRE tests you on vocab—a lot of vocab. Be sure to consider whether your vocabulary is already strong or if you’d like to spend hours and hours studying vocab flashcards. If not, you may want to learn about that whole analytical reasoning or “Logic Games” section of the LSAT! If you’re not sure where your strengths lie, you may want to consider taking both exams. Start with a practice test for each of the exams and see what your starting scores are. You may surprise yourself with math skills you thought you’d forgotten! But remember that the GRE is only accepted by a handful of schools, so if you’re planning to apply to any not listed above, you’ll want to take both exams to keep your options open. The decision to take the GRE depends on your own academic strengths and weaknesses and which law schools you’re planning to apply to. While this extra decision in the admissions process may seem overwhelming, keep in mind that it’s really a great opportunity—you have another way to impress admissions officers! Be sure to check back with us—we’ll update this post as we learn more about this exciting news and the impact it has on admissions. Best of luck with the rest of your law school admissions journey! 2 Responses to LSAT v. GRE: Which Test is Right for You? Thanks so much for summarizing the differences! Are applicants able to submit both scores to the universities or do they have to pick one over the other?